Well, have you seen one of these? The Birchall McCoy was built by Birchall Automotive Ltd. They specialized in both Aston Martin restoration and service as well as kit cars – hand in hand, right? 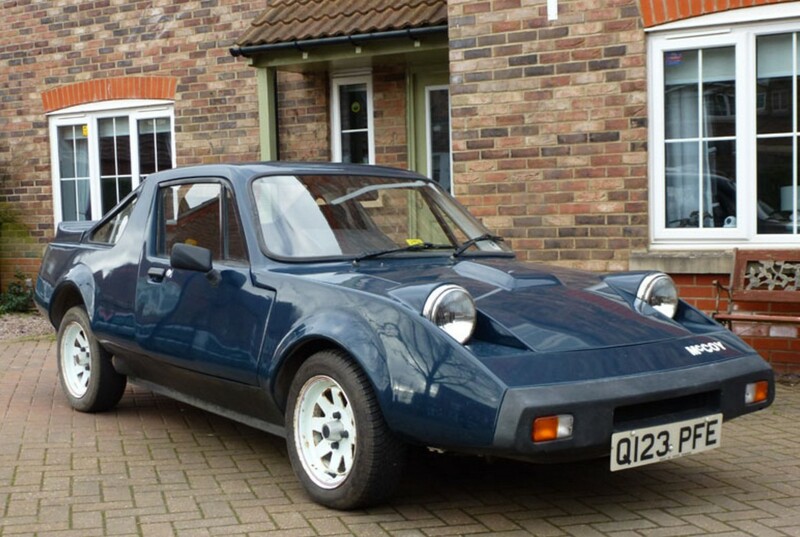 The BMC Mini was a ripe kit car platform – there were hundreds of kit cars based around the original Mini. This car is actually related to the Clan Crusader as it was styled by the same person. But while the Crusader was based on the rear-engined Hillman Imp, the McCoy was based on the front-engined Mini. That engine is a 1.1-liter straight-four. Birchall got out of the car business in 1990 and sold the design and company to someone else who renamed it. In all (kit and turn-key form), about 100 McCoy coupes were built. This is a one-owner car with about 32,000 miles on it. If you want something unusual, look no further. And for $2,600-$3,100 why not? Click here for more info and here for more from this sale. This entry was posted in Uncategorized and tagged 1988, auctions, birchall, cars, classic cars, h&h classics, mccoy by classiccarweekly. Bookmark the permalink.